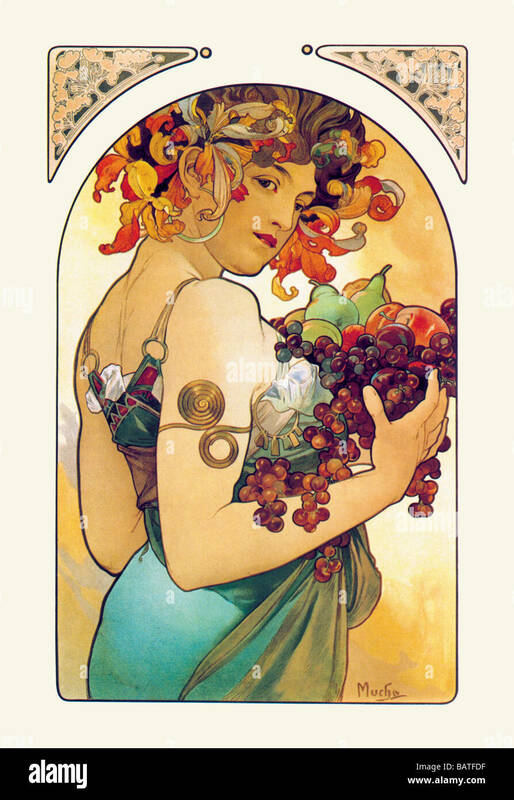 Alphonse Maria Mucha (1860 - 1939) was a Czech Art Nouveau painter. However, he did a great many posters and prints. The period of his work has become known as the Belle Epoque. A woman in a pale green dress with a copper sheen and a copper spiral armlet glances back over her shoulder. She is crowned with red lilies and carrying an armful of grapes, apples, pears, and peaches. There are fanciful Art Noveau motifs in the corner panels.